Toru re-ignites the glowing embers of a 25 year musical association between Denny Stanway-Young, James Wilkinson and Davy Stuart from Rua, The Two Jimmies, Hampster, String Wizardry and Claddagh respectively. Toru cross borders of love, landscape, loss, friendship and heritage. The name? In Maori it means “three”, in Japanese ‘the sea’. It seemed a logical progression from Rua..
James Wilkinson is a virtuoso guitarist and fretless bassist who has been performing for over 30 years. As a singer/songwriter, guitarist, bassist, and composer, his work has straddled multiple genres such as Celtic, folk, blues and rock. 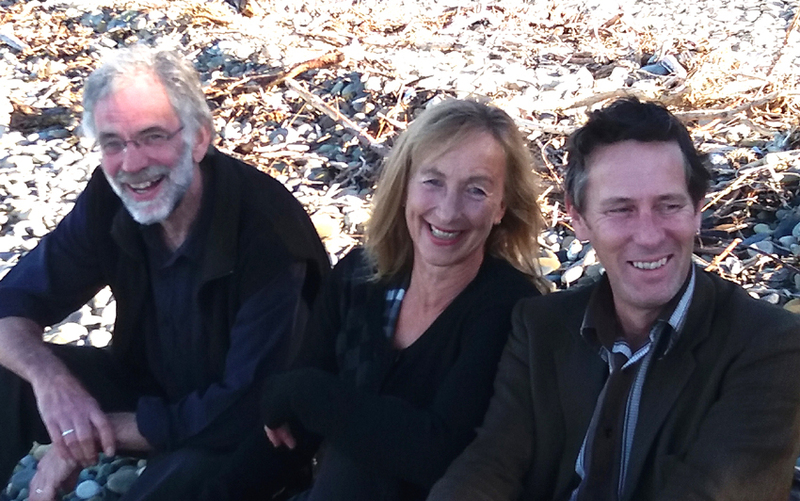 For the past 15 years Davy Stuart has been playing with harpist Helen Webby, the duo recording 3 CDs and extensively touring NZ and Australia, with nationwide tours for both Arts on Tour NZ and Chamber Music NZ. With three NZ Music Awards between them, Toru combine dazzling string artistry with guitars, bouzouki, fiddle and percussion with stunning vocal arrangements paying tribute to their varied heritage and other New Zealand musical heroes.